-SG- Juris has been in touch from Latvia and asks if anyone has a Moore CS1 upper bevel cover to swop for his spare early Carroll version - see photo above. 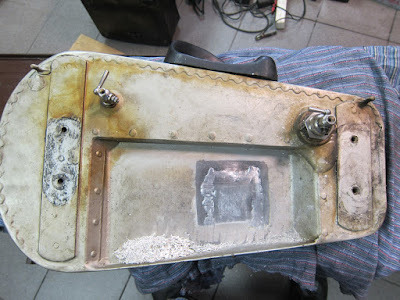 He also reports on essential surgery to his Model 25 tank - see the pic below. Incidentally the Model 25 was used on the recent Irish Rally and unfortunately suffered piston failure, perhaps resulting from low quality fuel. 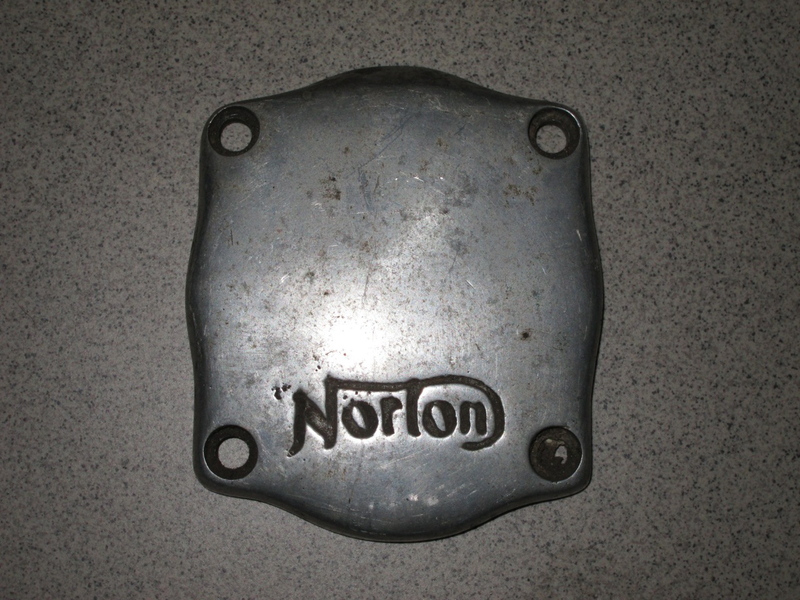 -Juris- Our Norton Model 25 developed a tank leak during a recent road trial. The fault seems to have originated a long time ago when someone had cut a hole in the underside in a “U” shape and pried it open - possibly to bash out a dent on the top. Then it had been bent back and soldered over and finished with a thick layer of putty and paint. It looked mint!